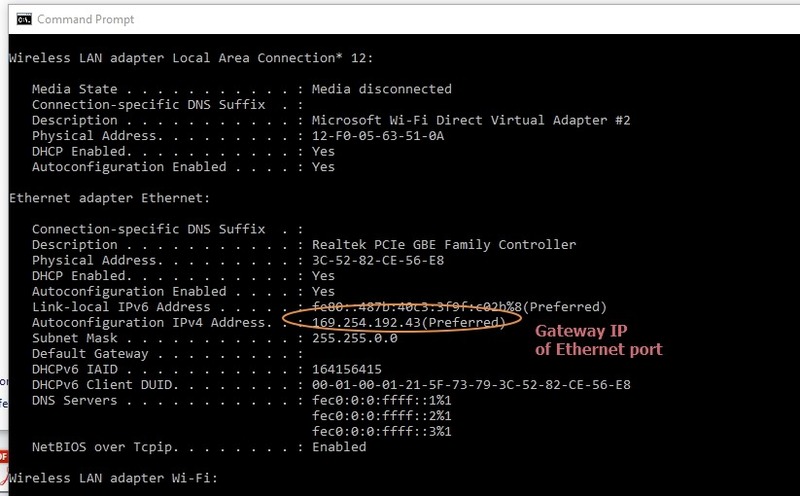 Generally Raspberry PI is connected to a Router as an individual computer.In case you do not have access to your Router you can very well connect PI to Laptop through an ETHERNET STRAIGHT Cable. The available RJ45 cable in the market is mostly STRAIGHT cable & not CROSS OVER one. On the next screen click on the properties button. 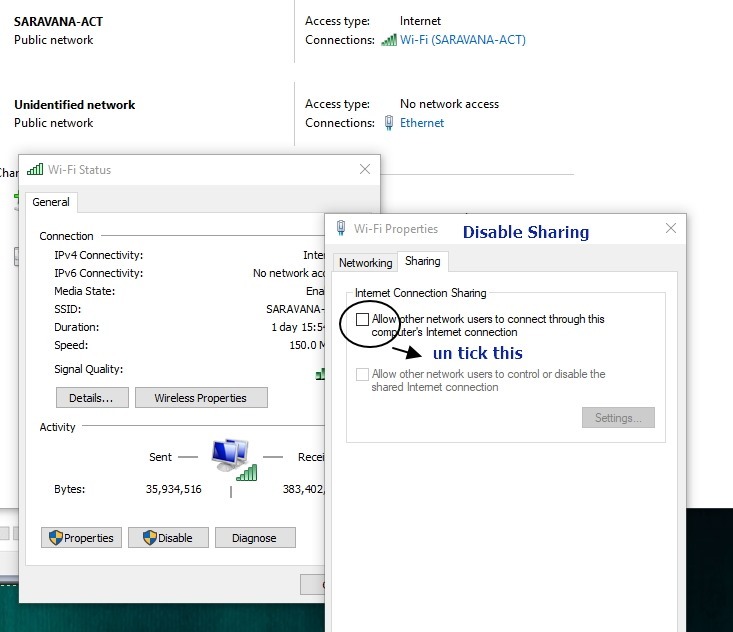 Click OK to enable Network SHARING. 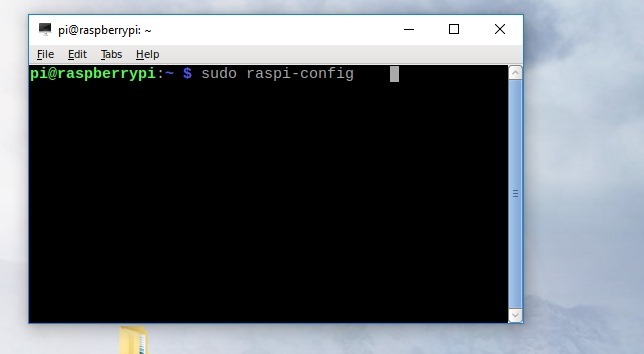 Now let us enable SECURED SHELL – SSH on Raspberry PI OS , so that it can be accessed over network. 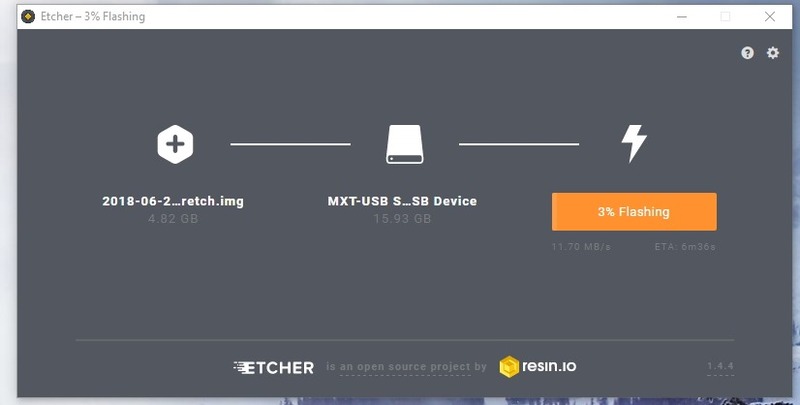 This can be done by connecting RPI to a HDMI TV & a keyboard. 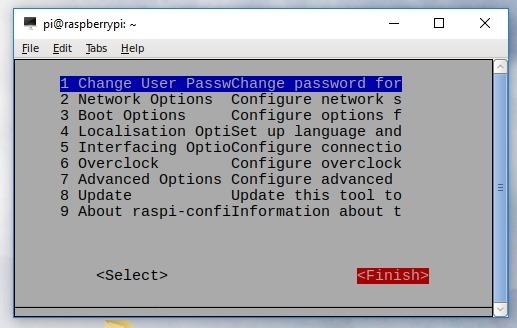 Under terminal open RASPI-CONFIG & enable SSH under Advanced options. But in this post I consider a Headless mode , presuming that you do not have access to a TV or keyboard.You need a CARD READER for this purpose. 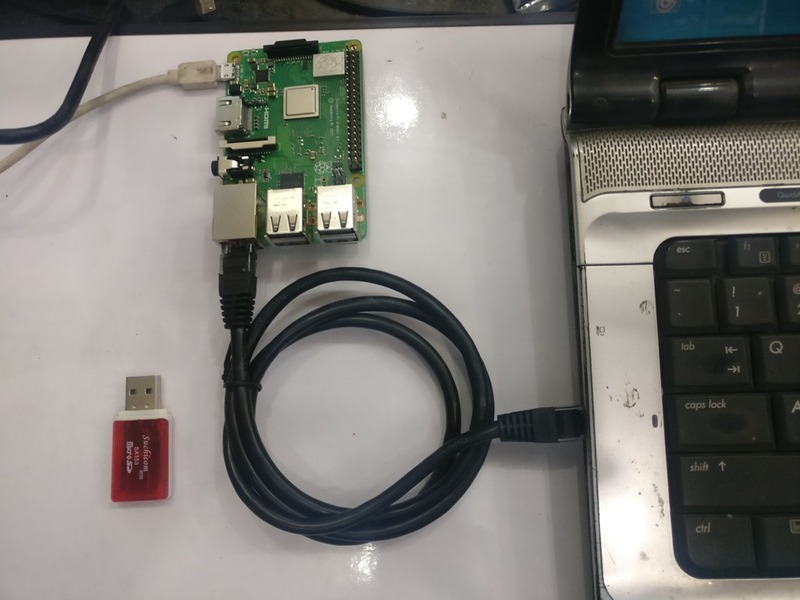 Place the SD card with Raspbian OS on to the card reader & plug it to ypur laptop. 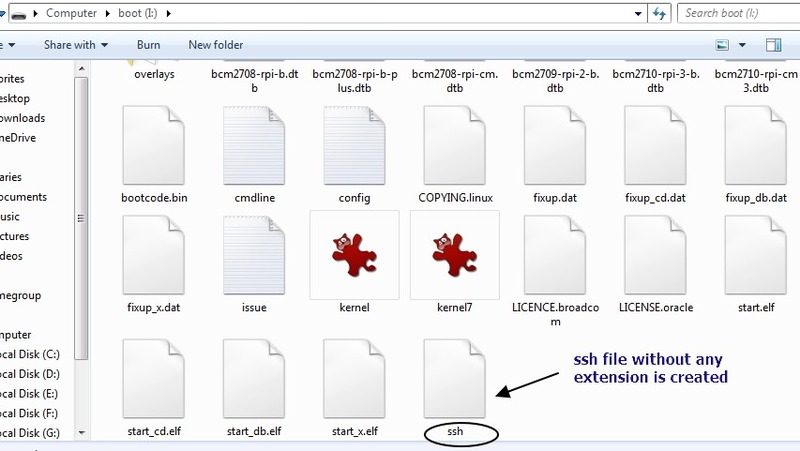 Now a file named ssh without any extension is created under \boot. While PI is booted up then , it looks out for the file named ssh. 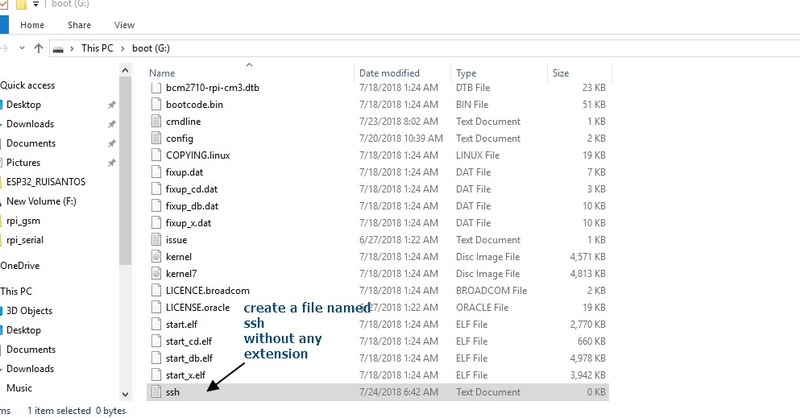 If it finds one , it enables SSH & then deletes the file you created. 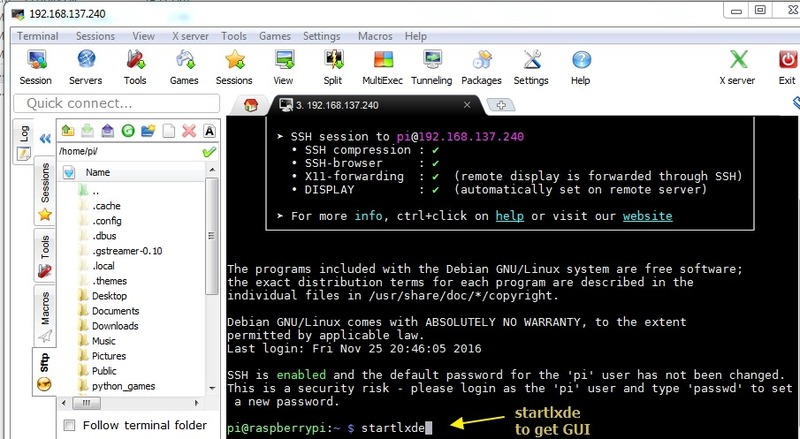 This is how SSH is enabled in the new Raspbian OS.By default SSH is disabled in new OS for security reasons. Plug the SD card on to PI & connect the ETHERNET cable to Laptop’s RJ45 slot. 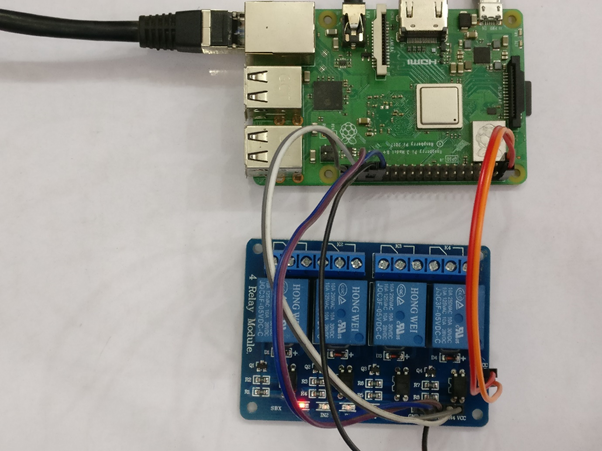 Power up the PI to see a new Unidentified network . 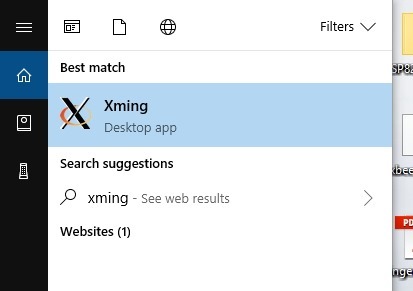 Click on that new Local Area Connection that appears & then click properties. 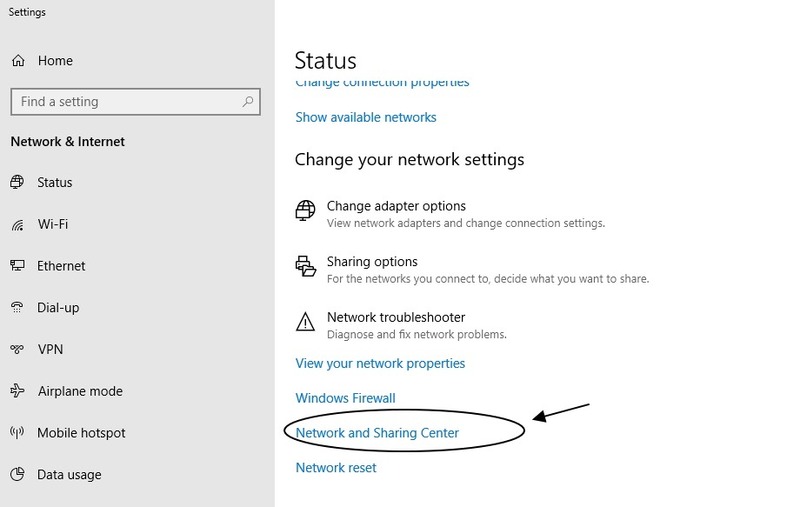 Now you see the IP address of the new Network created. 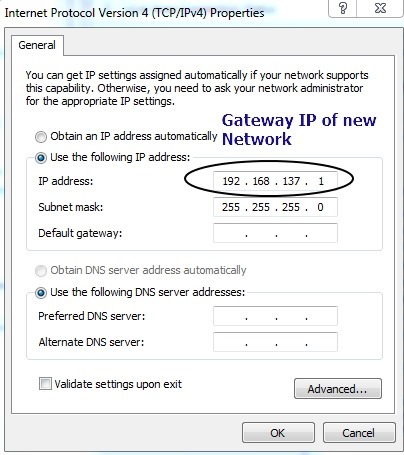 Here it is 192.168.137.1 which is the GATEWAY IP of the new Network. 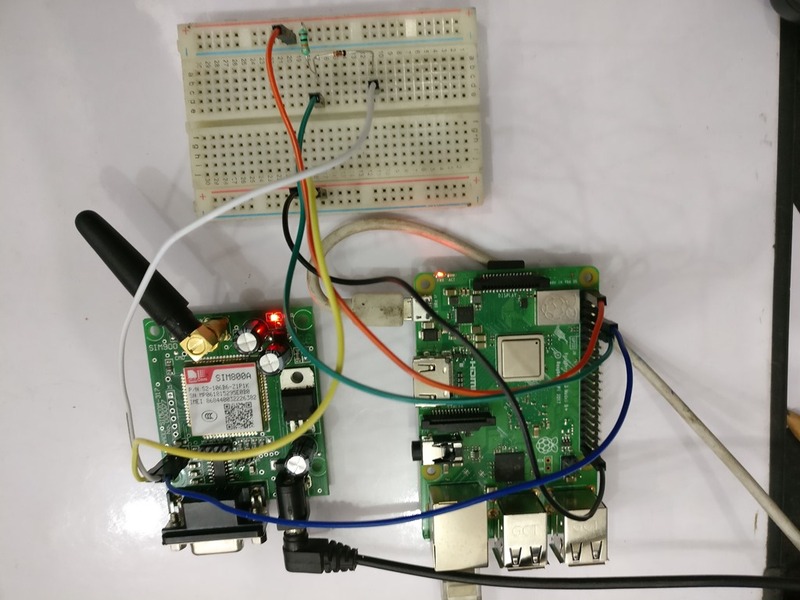 The IP scanner will detect the Raspberry PI & displays its IP along with host name & MAC address. 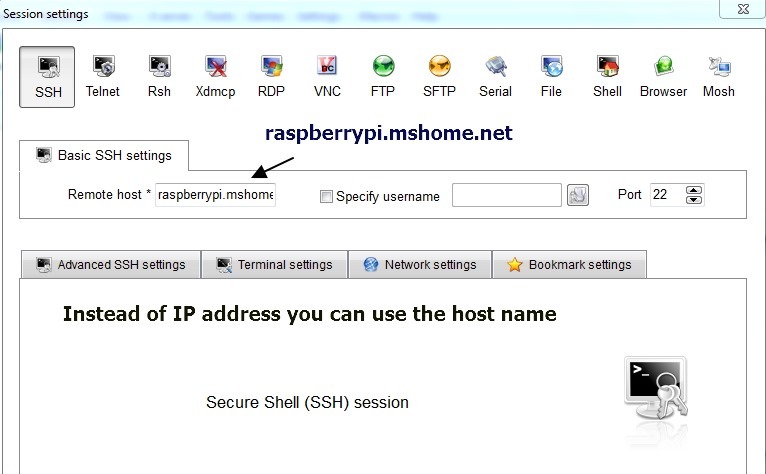 You can use either the host name or the IP to access the PI. We make use of an X Forwarding software called MOBAXTERM for a Graphical Interface. 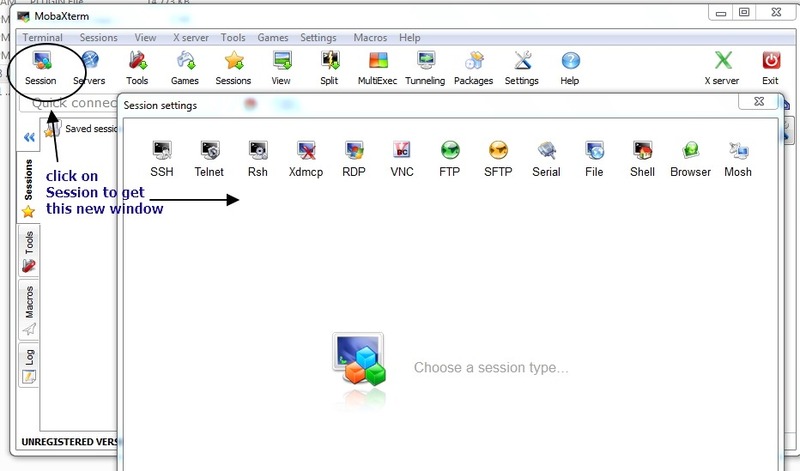 You can use XMING server , but a separate SSH client like PUTTY is needed for that. 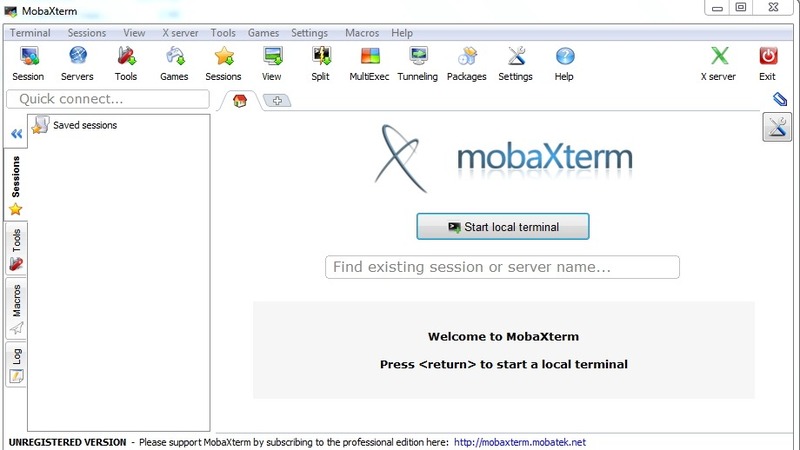 MOBAXTERM is a standalone freeware with an inbuilt SSH Client. Fire up the MobaXterm_Personal application. 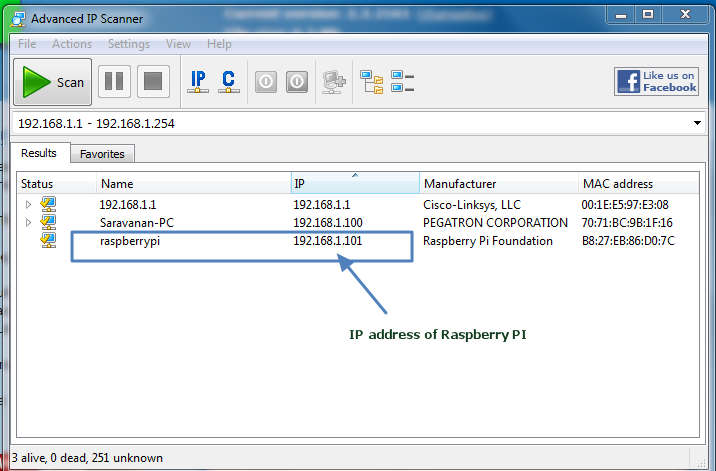 or you can use the IP address of PI we obtained from IP Scanner earlier. Now you get the login window. You get a warning message SSH is ON . 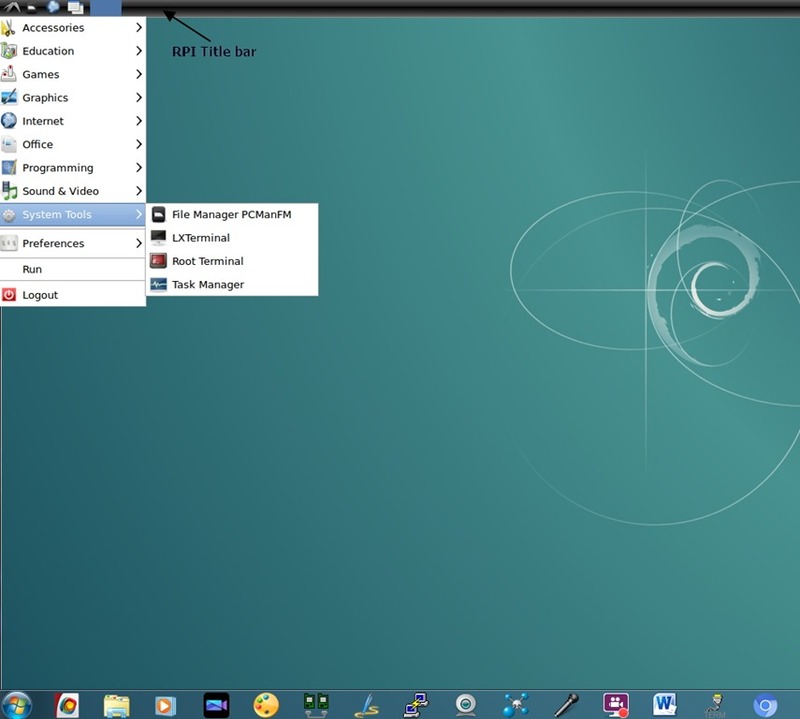 Click OK to see the DEBIAN SWIRL desktop. 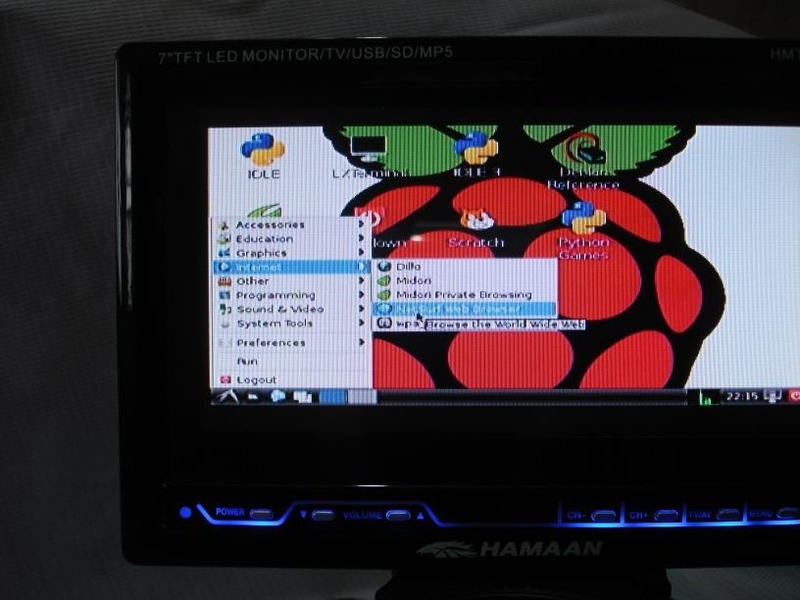 TOUCH screen LCDs are now available for use with Raspberry PI. 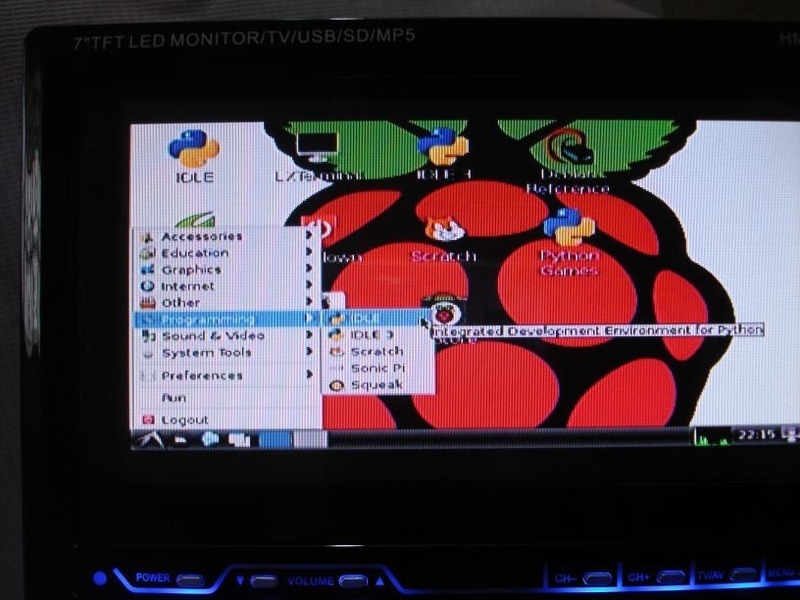 7 Inch LCDs work straight from the box as soon as you plug it onto your PI.No driver is required , but the touch response is poor & screen width is not full. This post walks you through the steps of installing proper Drivers for touch to work smoothly & also installation of virtual keyboard is introduced. The 7 inch LCD used here has a resolution of 800 x 480 pixels & the screen is Capacitive Touch. HDMI interface is provided for Display & USB interface for touch control. Both the HDMI & USB cables are provided in the box. 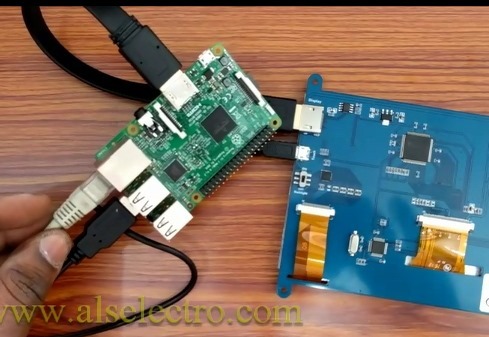 Connect the HDMI cable to the HDMI port of Raspberry PI & THE USB cable to any one port of the RPI.Slide the mini switch to ON position. 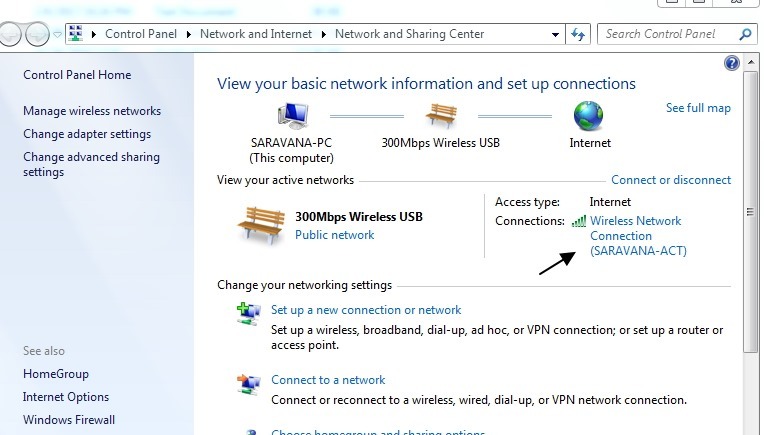 Connect the RJ45 cable from the Internet providing Router to the RJ45 jack of Raspberry PI.In case of PI3 also this internet connection is a must for driver download & setup.Later you can switch on the WIFI on PI3 to connect with internet. Insert the micro SD card with the latest RPI3 RASPBIAN Image on to the PI & switch ON the power. You can see the initial screen is not Full screen. But interestingly , the touch will work. To get the full screen display , you need to edit the CONFI.TXT file inside /boot folder.You can remove the SD card & plug it to PC using a card reader. Open the folder & look out for the CONFIG.TXT file .Open this file using Wordpad or Notepad++. 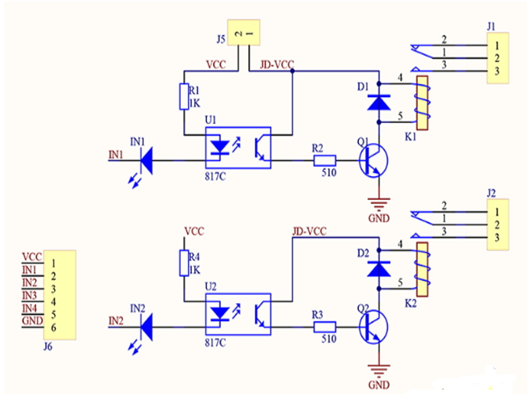 This can help if you have a decent power supply (2A, at least) and need to power the external Touch screen display. Save this changes.Remove the SD card & plug it to RPI. On rebooting you can find the FULL SCREEN display , but sadly the TOUCH performance will degrade. The touch selection will not be the one you insisted on touch. To solve this problem you need to install the drivers. 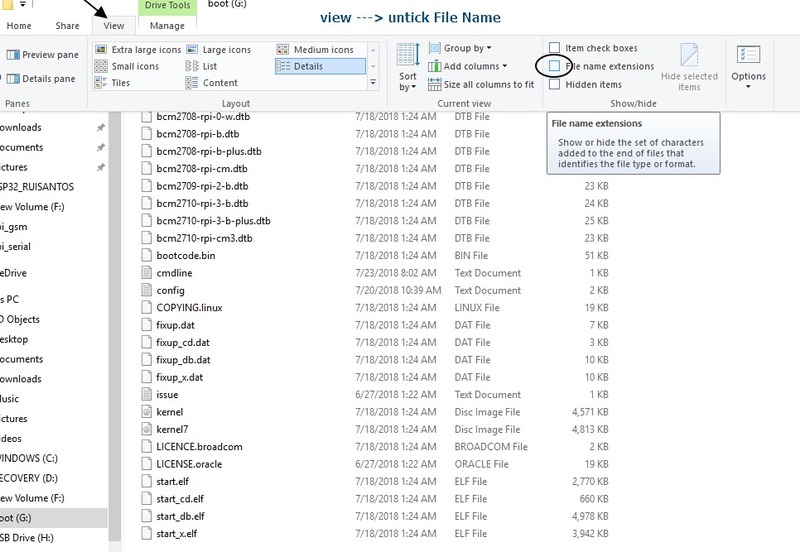 Using FILE MANAGER locate this folder & copy the downloaded tar file. Right click the file & click on Extract Here.. to unzip the file. Now you can see the unzipped folder. 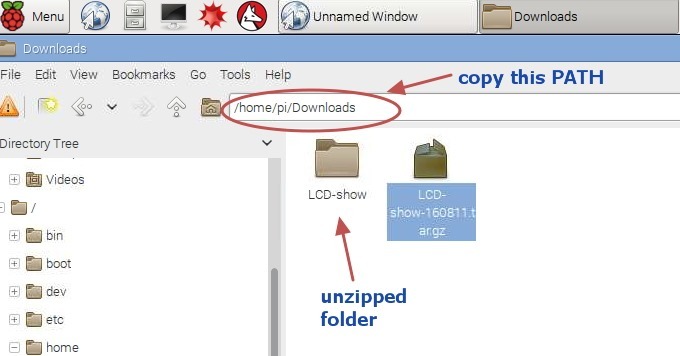 Copy the PATH to this folder or note down the path , as we need it to install from within the Terminal. 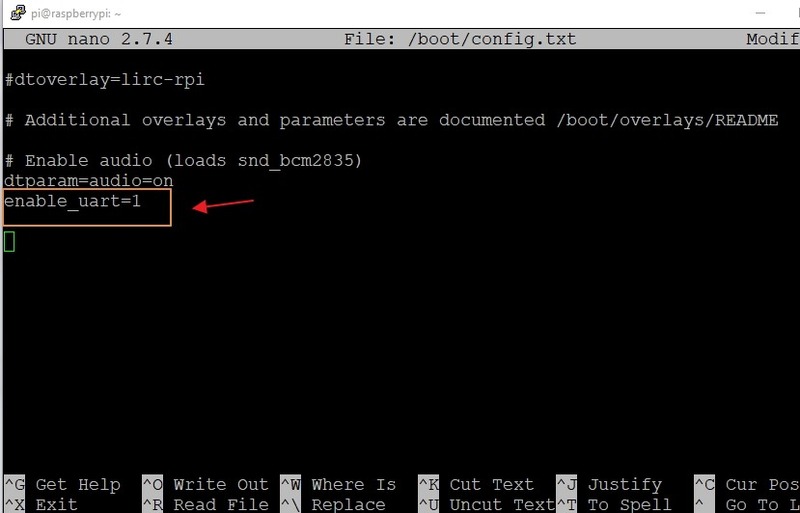 Open the Terminal & change directory to the PATH copied as in above step. 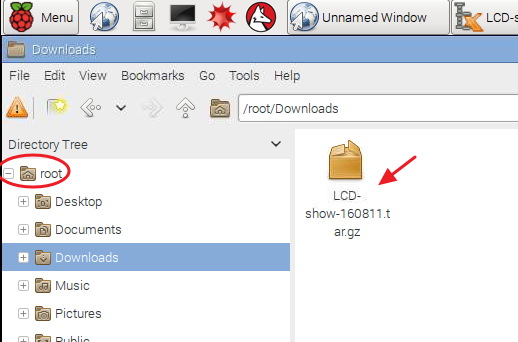 Note the capital D in Downloads , as Linux is case sensitive. 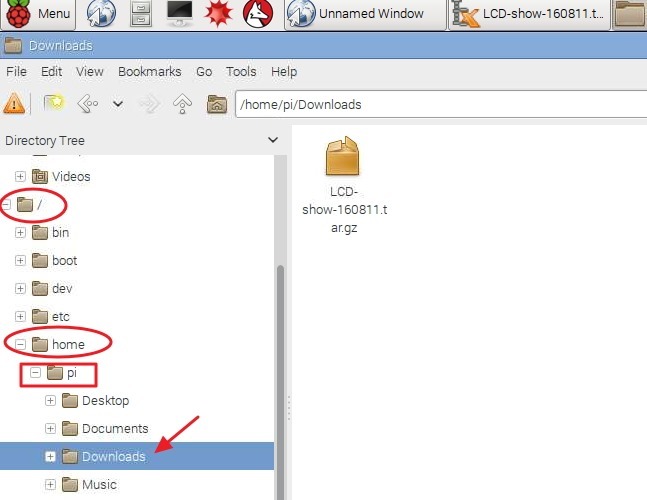 The list will display the folder LCD-show which contains the driver we need. LCD-800×480-show is the driver we need to install. 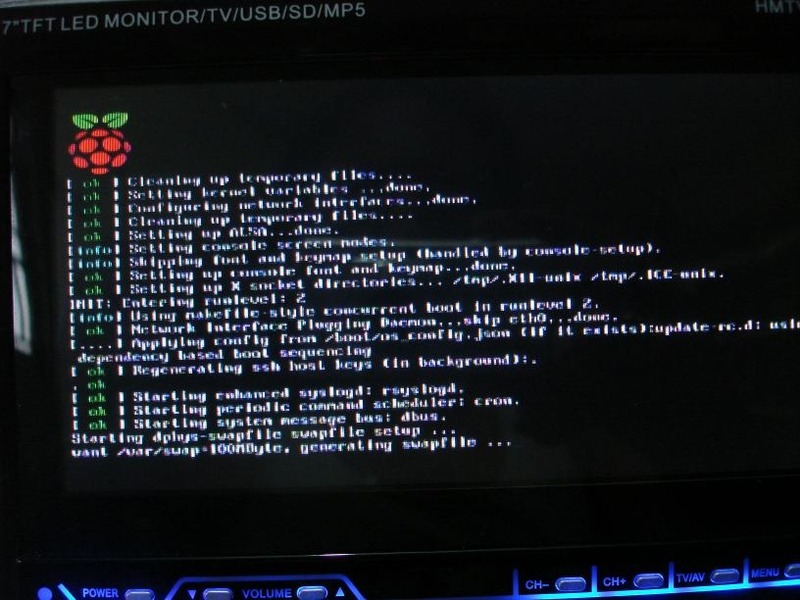 The RPI will Reboot automatically & displays Full Screen. Now try the TOUCH Functionality.It will be breeze to use the touch now, after driver installation. Now is the time to install the virtual keyboard .This avoids the physical keyboard & is a must for a touch screen. When prompted , enter y to continue. Once the installation is over you can see the KEYBOARD under Accessories. Preferences —> Main Menu Editor. 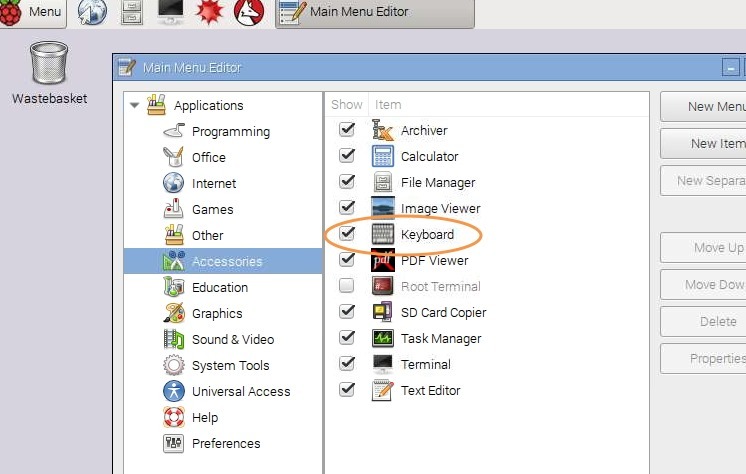 Under Main Menu Editor , put a tick mark against KEYBOARD. Now open the KEYBOARD & enjoy. 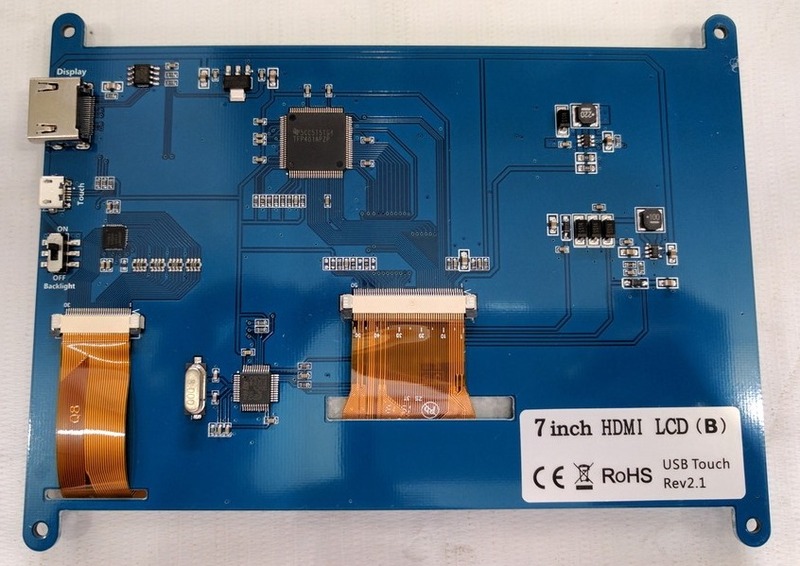 HDMI to VGA converter is a low cost solution to connect VGA monitor with PI.This needs no external power supply & no settings to do.It supports VGA output upto 1080I (60Hz).As VGA doesn’t support audio,this converter has no audio output. 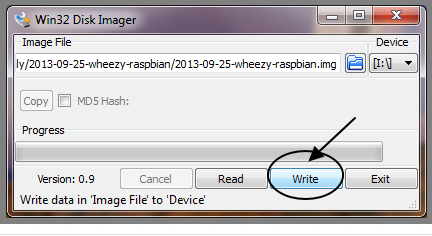 Remove the SD card loaded with Raspbian Operating System & plug it into your Laptop.For Desktop you need to use a Card Reader.Open the folder to locate CONFIG.TXT file. If you open this text file with conventional Notepad , you can see that the display is not arranged & difficult to understand. Download NOTEPAD++ here & install it. Open the Config.txt file with Notepad++ to see the contents arranged neatly. in front of the command. 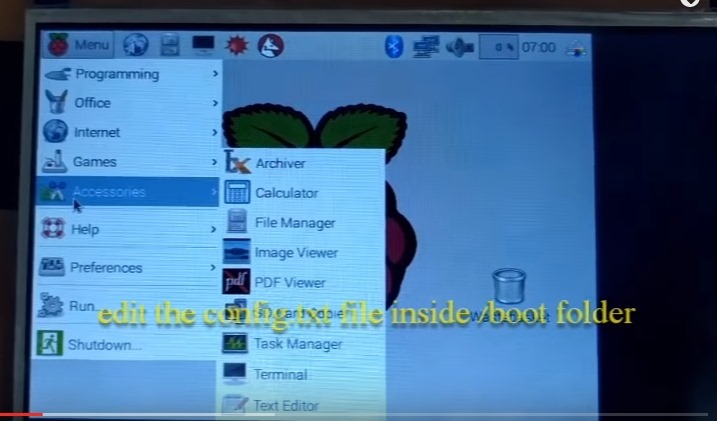 The first one to uncomment is hdmi_force_hotplug=1 which forces Raspberry PI to use the HDMI port.If it’s set to 0 then your PI will attempt to detect the type of Display. The second one to uncomment is hdmi_group=1 & then change this value to 2. There are two Groups for HDMI. Group 1 is defined by CEA – Consumer Electronics Association of America.When PI is connected to High Definition Television over HDMI this Group is used. Group 2 is DMT (Display Monitor Timing) defined by Video Electronics Students Association (VESA) & is used when PI is connected to computer monitors. As we’re connecting PI to a monitor , set this Group to 2. 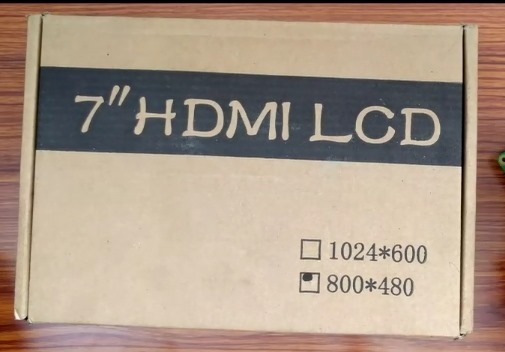 Next one to uncomment is the hdmi_mode=2 & change this value to 16. Each Group (CEA & DMT) defines its own modes.As we’ve set the Group to 2 this value of 16 represents a resolution of 1024 x 768 at 60Hz. & a value of 35 represents 1280 x 1024 at 60Hz. 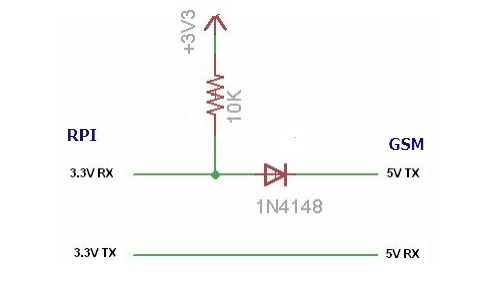 This value has to be set according to your monitor size & type.Refer here for values of different modes. 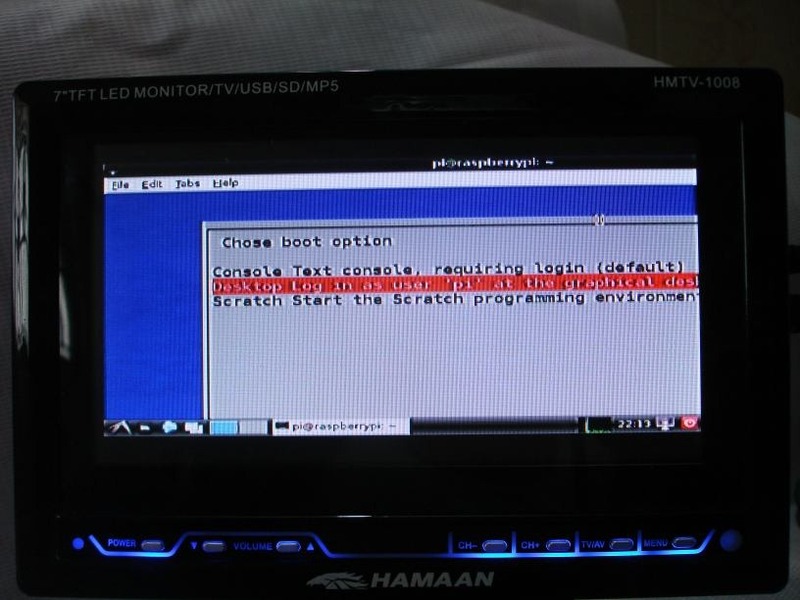 Finally uncomment the entry hdmi_drive=2 and leave the value to 2.This is to alter voltage output by HDMI port.For DVI output voltages set this to 1. 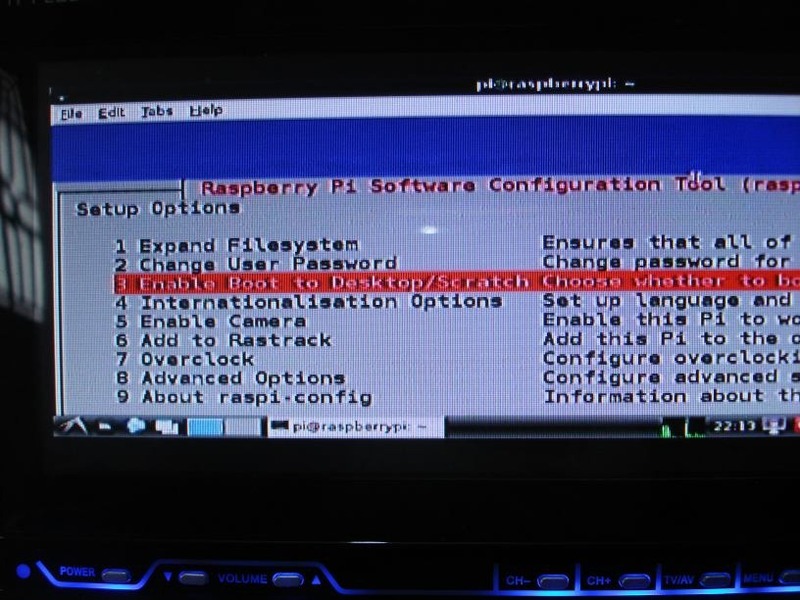 Save the changes & remove the SD card from the Laptop.Plug it to PI & power it to see PI boot window on the VGA monitor. This setting can be varied from 1 to 7 according to the length of HDMI cable you’re using.For long cables set this value to 7. 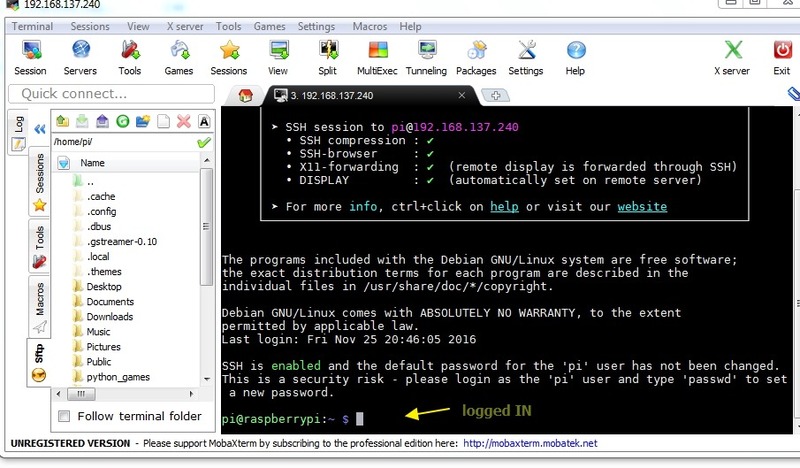 In the previous post we’ve seen how to control Raspberry PI from Windows PC using SSH (Secured SHell).The disadvantage in this mode is that SSH is Text only mode (Text User Interface).You can control your PI in Command mode only.Graphical User Interface (GUI) is not possible. 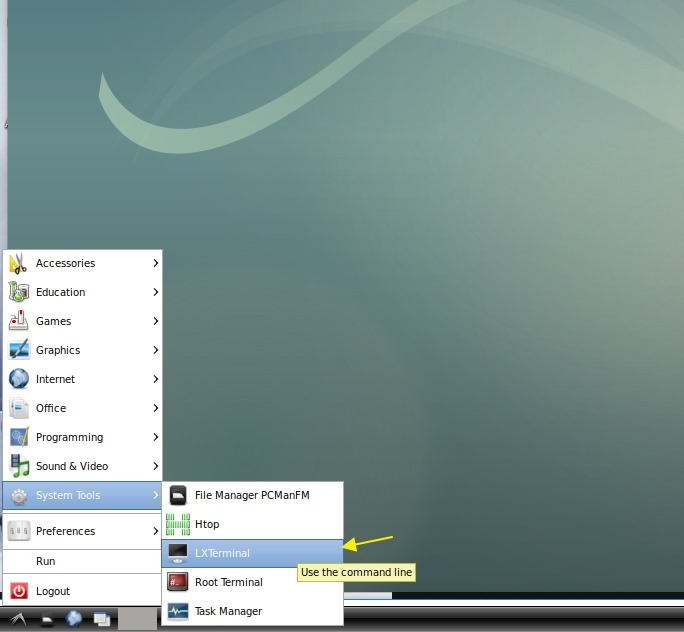 For GUI control we shall use TIGHTVNC server. 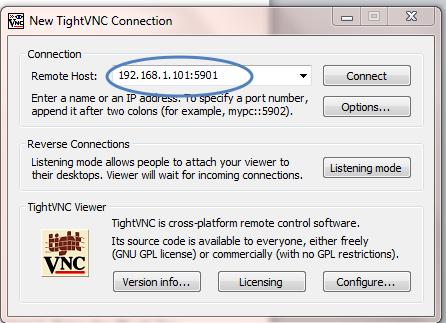 TightVNC is a free remote control software package. 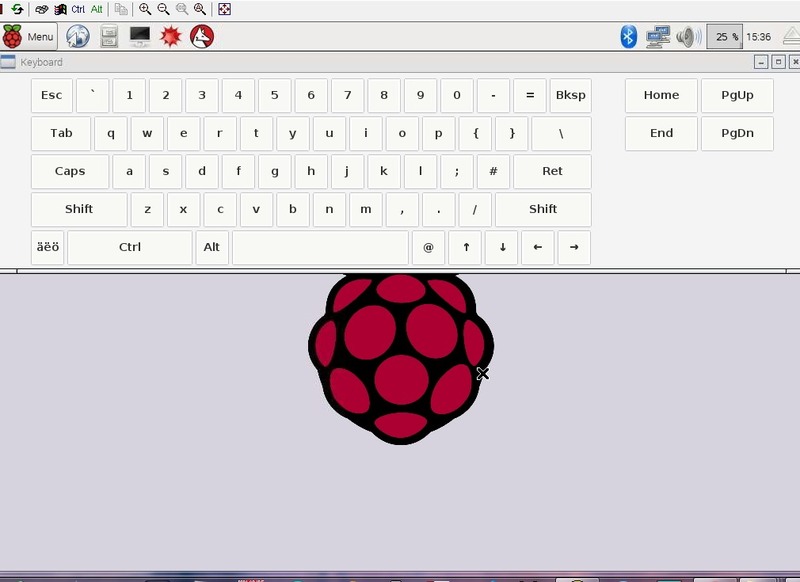 With TightVNC, you can see the desktop of a remote machine like Raspberry PI and control it with your local mouse and keyboard, just like you would do it sitting in the front of PI. 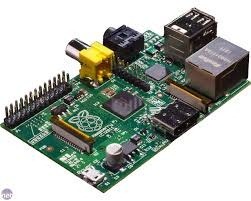 The Raspberry PI should be connected through a RJ45 cable to a Router which is providing Local Network connections . 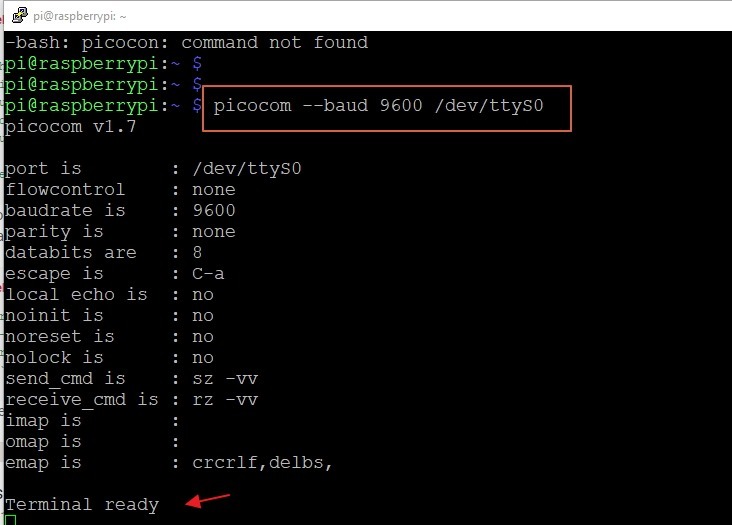 To start with install the TightVNC server on your PI by typing in the following command inside the LX terminal. Press “y” to confirm installation. After installation you should get back the pi@raspberrypi ~ $ prompt. First time user should enter an 8 character password. 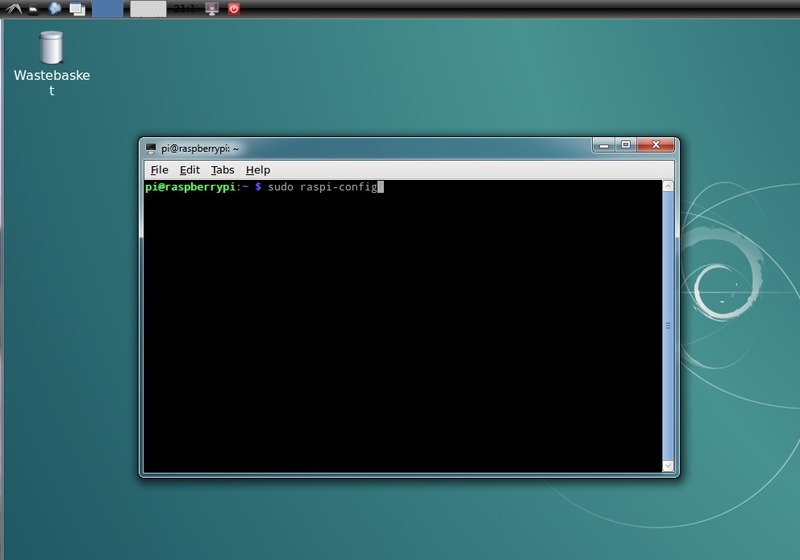 Now you get a response like “New ‘X’ desktop is raspberry:1 “. 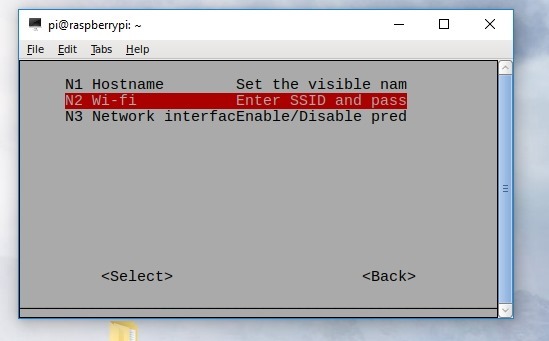 Note down this number, as you’ve to enter this along with Raspberry PI’s IP address to get connection. Click the downloaded file to start installation. As an add on for a good GUI performance install the DFMirage mirror display driver. DFMirage mirror display driver allows TightVNC to gain the best performance under Windows. With DFMirage, TightVNC Server can detect screen updates and grab pixel data in a very efficient way. Download DFMirage driver from here. Double click the .exe file to install the driver. 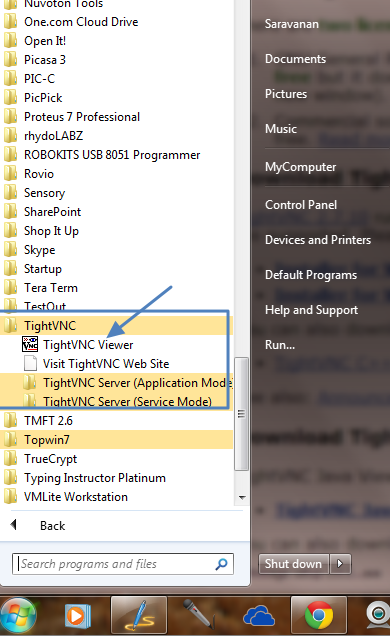 Once the installation is completed you can see the TIGHTVNC folder under All Programs of Start menu. 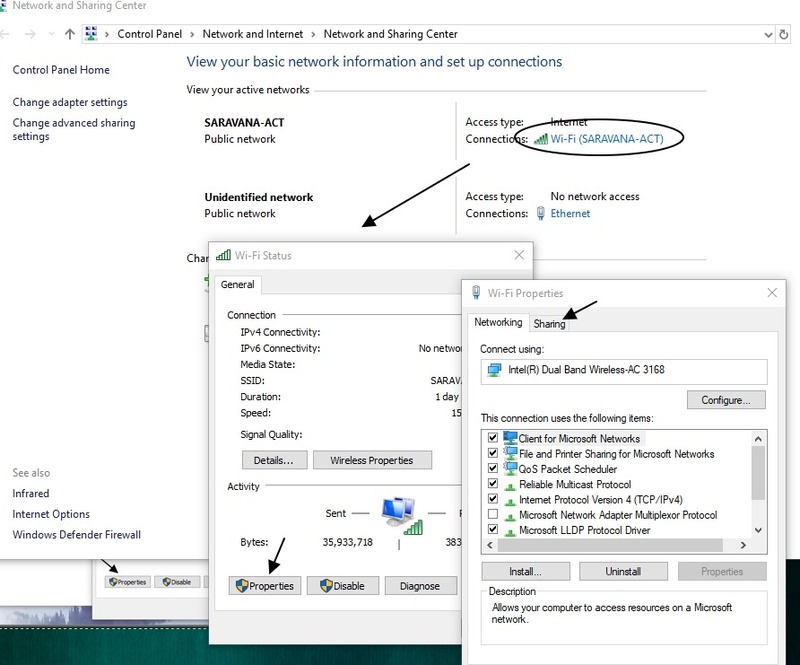 Click on “TightVNC Viewer “ to start the New Connection . 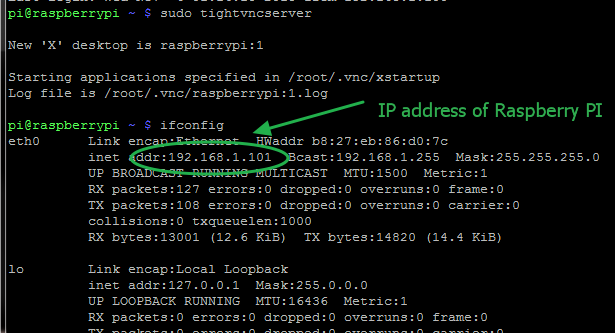 Under Remote host enter the IP address of Raspberry PI ( as known by typing ifconfig under PI’s terminal). This IP address should be followed by a colon and 5901 . 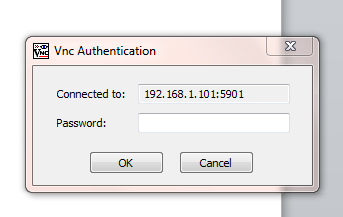 If it is 2 then you’ve to enter 5902 after the IP address. 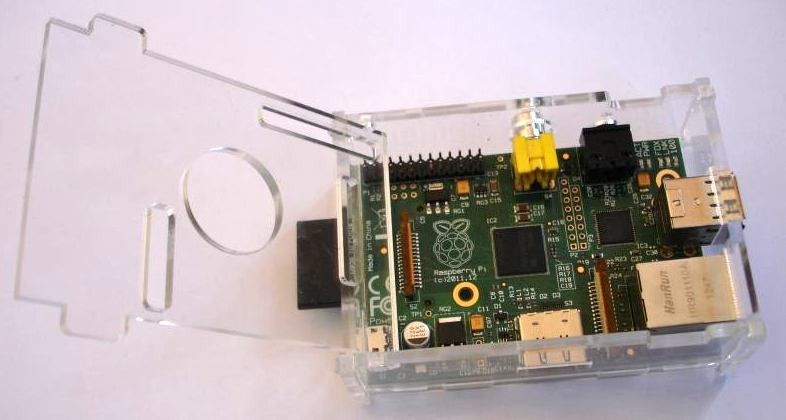 Now you can see the Raspberry PI on your Windows. 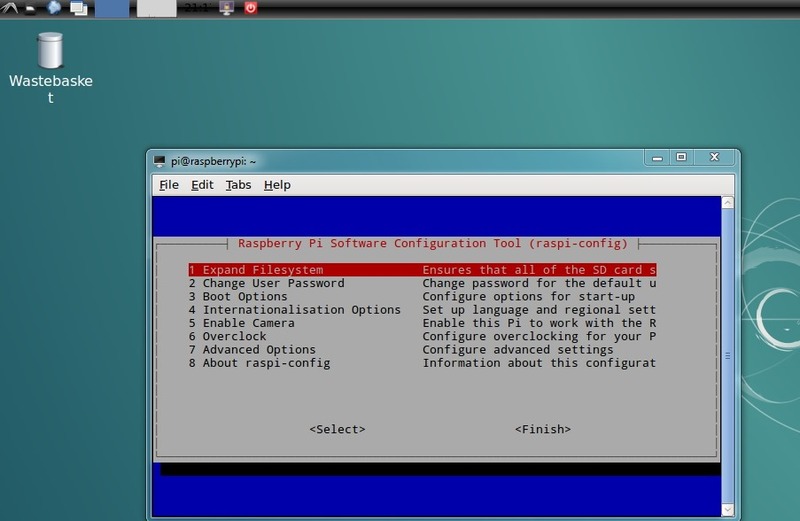 This is GUI interface & you can work as if you were in front of a Raspberry PI terminal. This is a six piece laser cut box for your PI.It has dragon claws to fix and no need of any screws or bolts.It is a must to protect your PI .If you accidentally place your PI on any conductive surface ,PI may go defective beyond repairable. 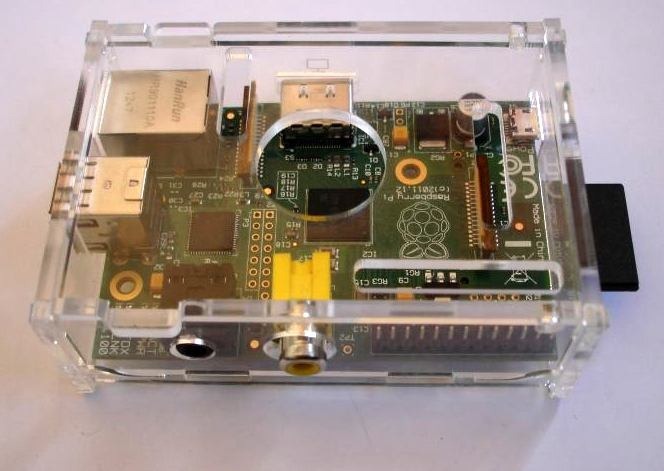 So make your PI safe with this little cute classic box. The case comes as 6 pieces that snap together, made of crystal-clear acrylic. 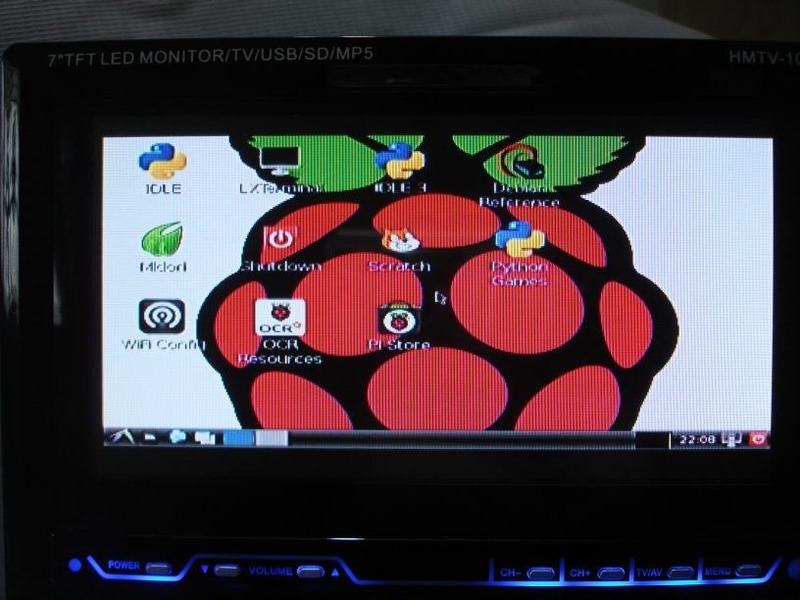 You can use all of the connectors on the edges of the Pi: HDMI, Audio, Video, SD slot, micro USB power, Ethernet and the two USB ports. The enclosure is designed so that you can remove the top piece and plug any sort of cables you wish into the breakouts in the middle. 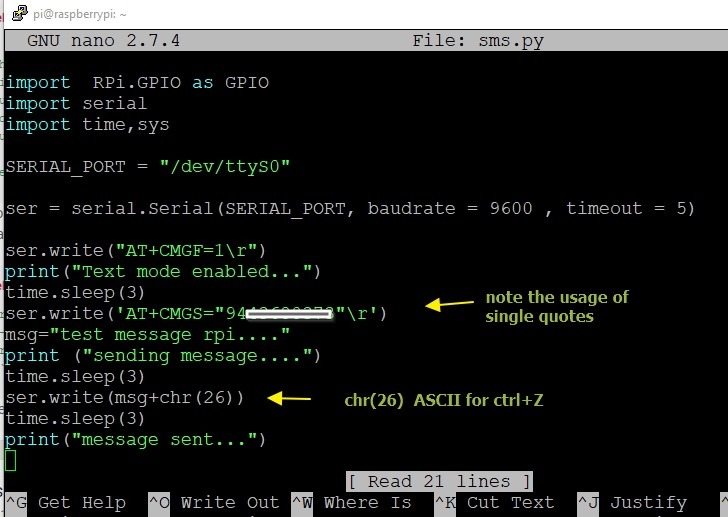 SSH is a secure method of logging onto a remote computer. 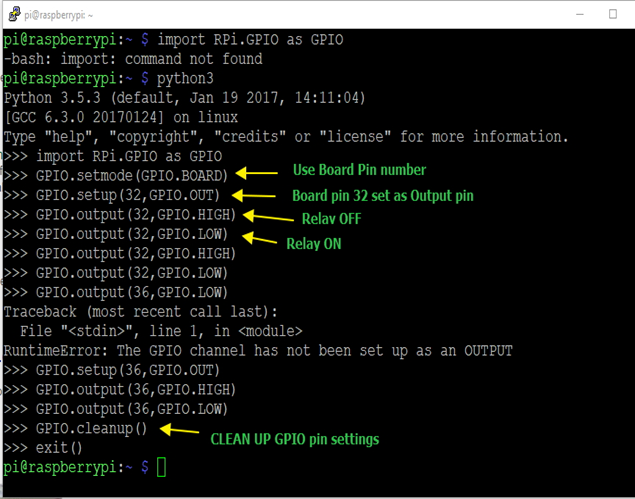 If your Pi is networked then this can be a handy way of operating it from another computer or just copying files to or from it. 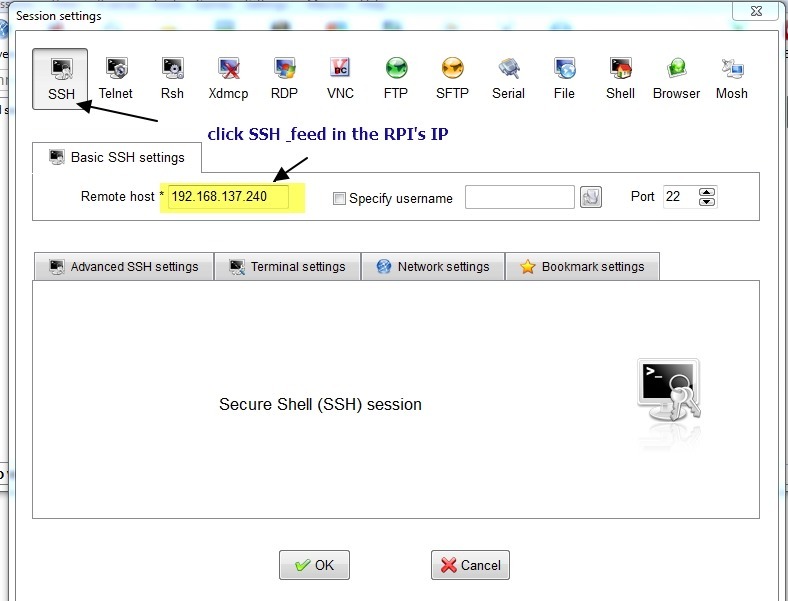 SSH is Secured SHell . First you have to install the SSH service. 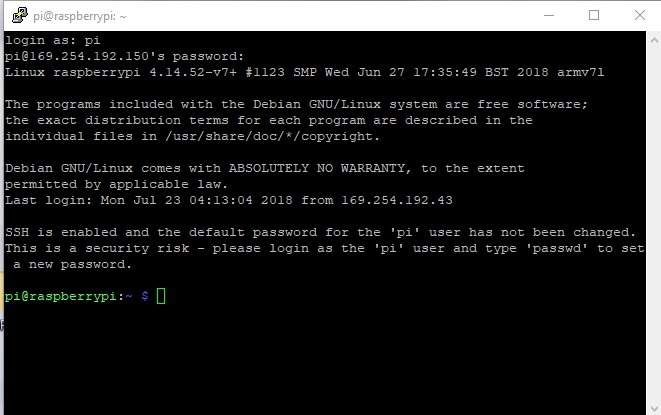 The wheezy Raspbian OS comes with SSH telnet access enabled, and this is a great way to get terminal access to your Raspberry Pi over network ,without having to hook it up to a monitor and keyboard. 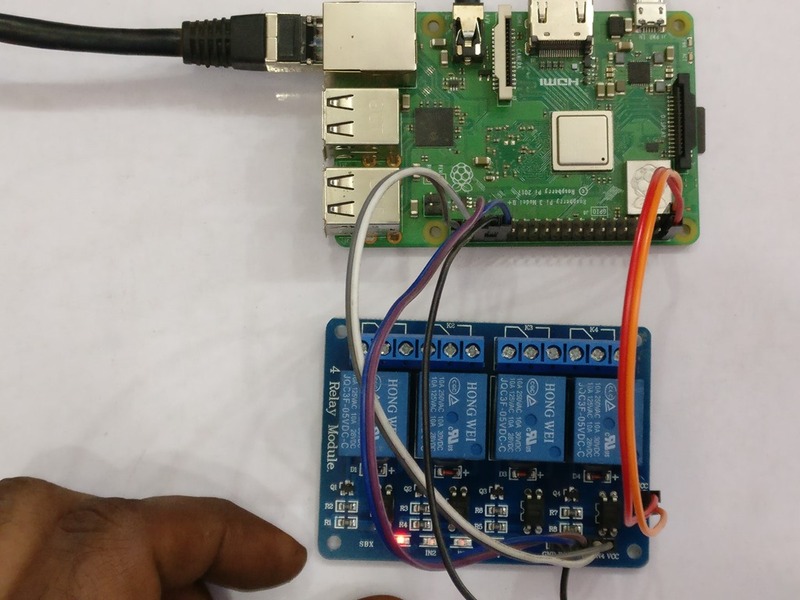 All you need is to connect your Raspberry Pi to power and an internet connection. The list of set up options is displayed.Move down to select Advanced Options. 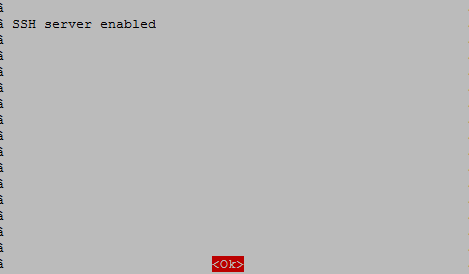 Under Advanced Options window select SSH. Click on OK & then FINISH. 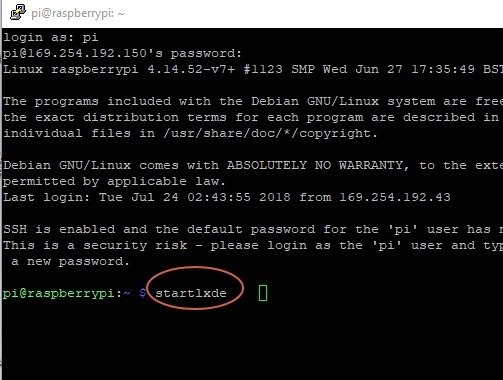 To connect PI over network you should know the IP address of PI. 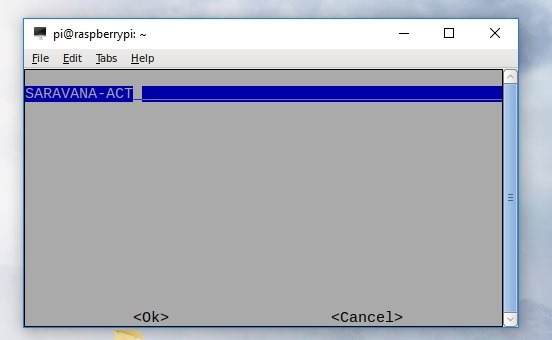 You can type in either of the following command to learn the address. 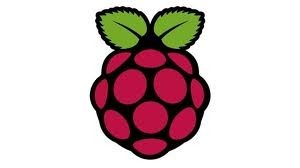 By default the Raspberry Pi will be allocated an IP address by your router. However, next time you power it up the router may allocate a different IP address. This is a problem because in order to connect through SSH we need to know the Raspberry Pi’s IP address on your local network, and we can’t see this if we don’t have a monitor attached. 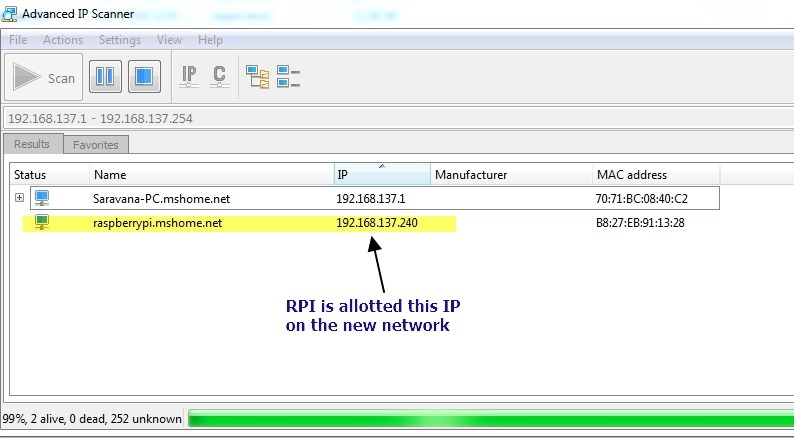 There is a a great free tool called Advanced IP Scanner to find out the IP address. Run the tool & click on Scan button. You can see the PI detected on network.Note down the IP address. 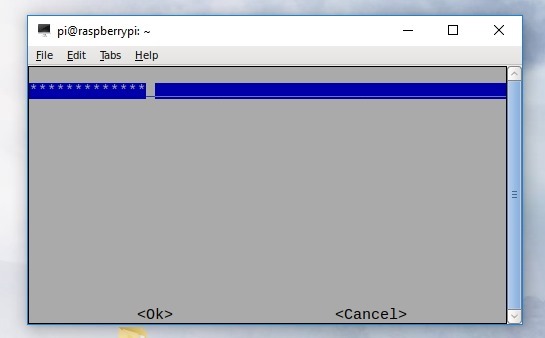 Now we shall see how to connect to PI from a distant computer.We make use of PuTty software .This is an excellent software that works on Windows as well as Linux platforms. 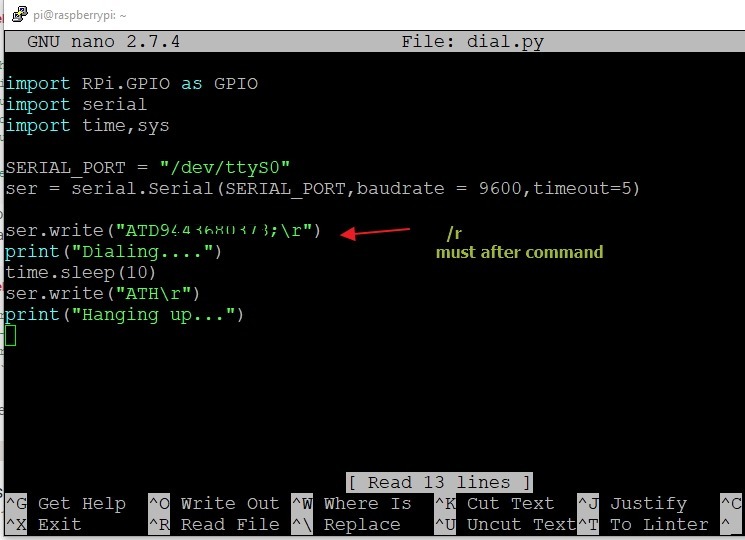 Open the PuTty terminal & under host name enter the IP address of Raspberry PI. 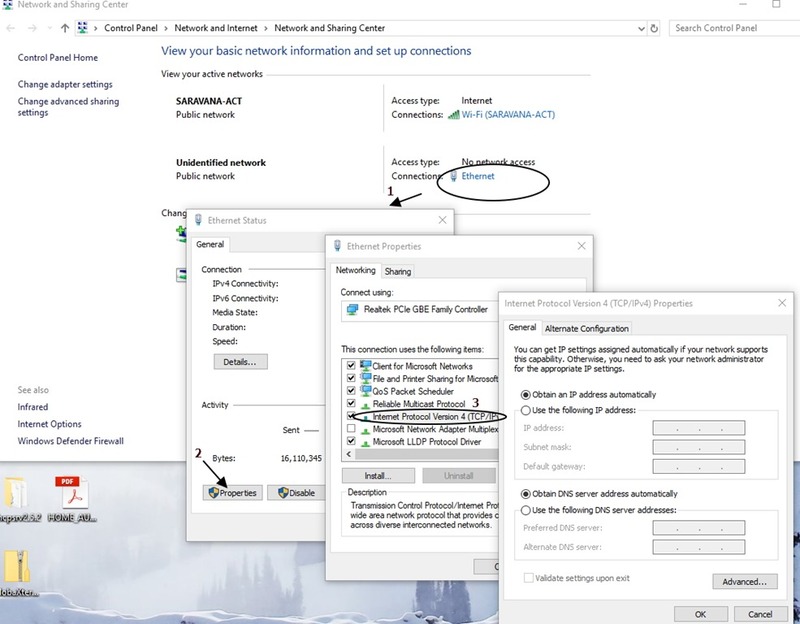 Ensure that port is 22 & connection type is SSH. 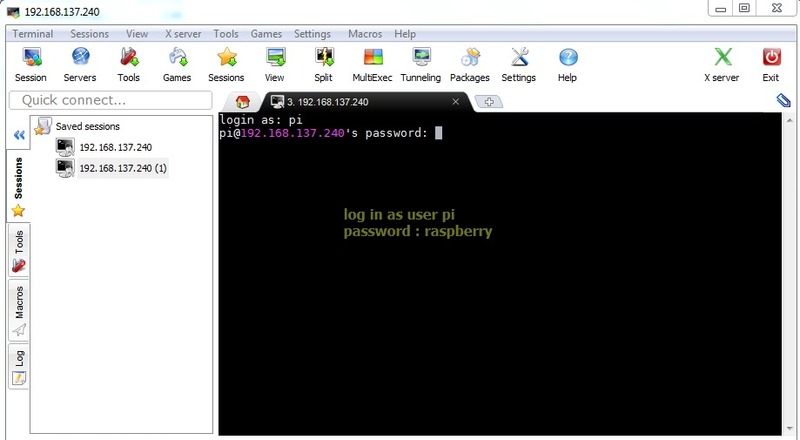 The PI is contacted over Network & it’ll ask for login & password. , all in small letters. $ is the shell prompt. 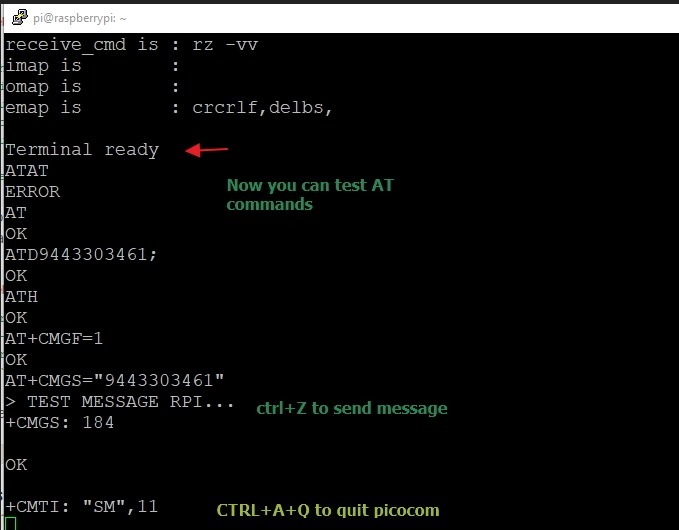 Now you can issue commands as if you are in front of PI. 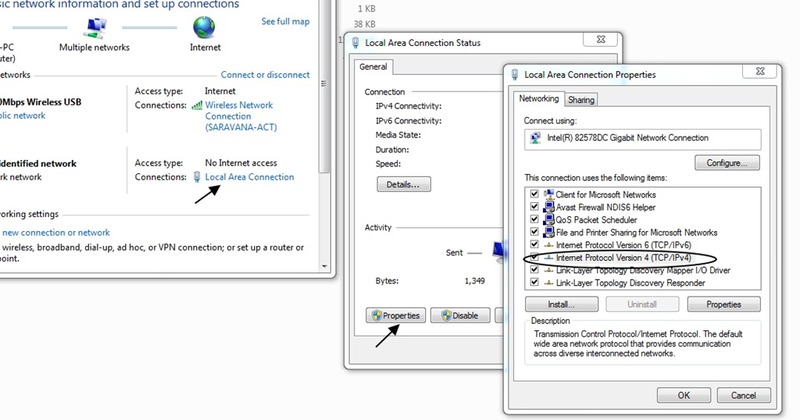 The address range starting 192.168.x.x are purely for use on LOCAL NETWORKS only. 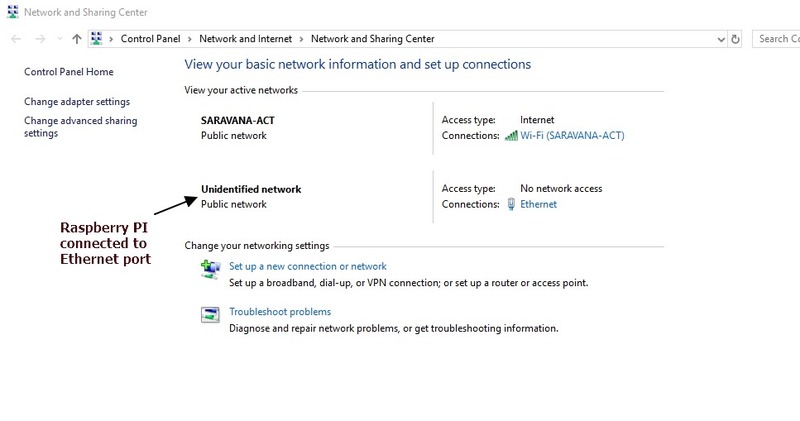 It is non routable & someone on other side of router (on internet) cannot directly access that address. 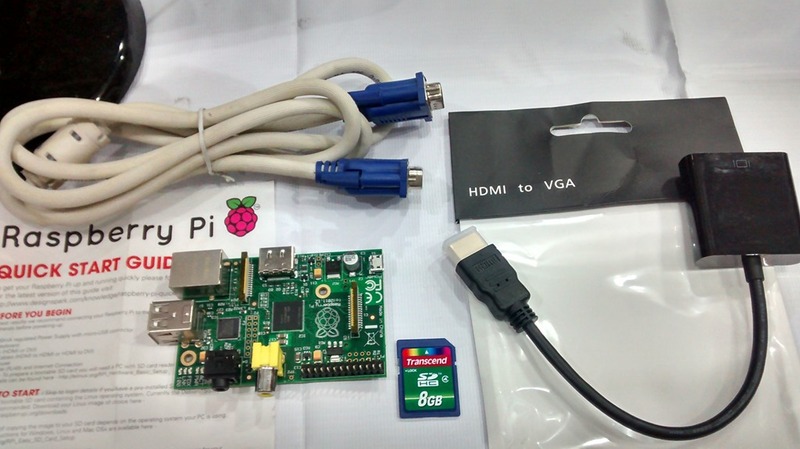 The Raspberry Pi is a credit-card sized computer that plugs into your TV . It’s a capable little PC which can be used for many of the things that your desktop PC does, like spreadsheets, word-processing and games. It also plays high-definition video.A keyboard & a mouse can be connected to the dual USB port (type B) . 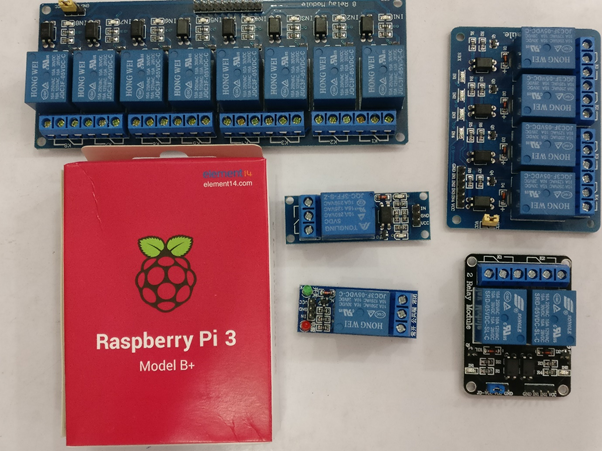 Raspberry PI comes in 2 models. Model A & Model B. Model B has 512MB RAM, 2 USB ports and an Ethernet port.The Model B version of the device includes 10/100 wired Ethernet. But Wi-Fi will be available via a standard USB dongle. Both models have HDMI connectivity. Beyond this, mice, keyboards, network adapters and external storage will all connect via a USB hub.You can also attach a USB stick or USB hard drive for storage. 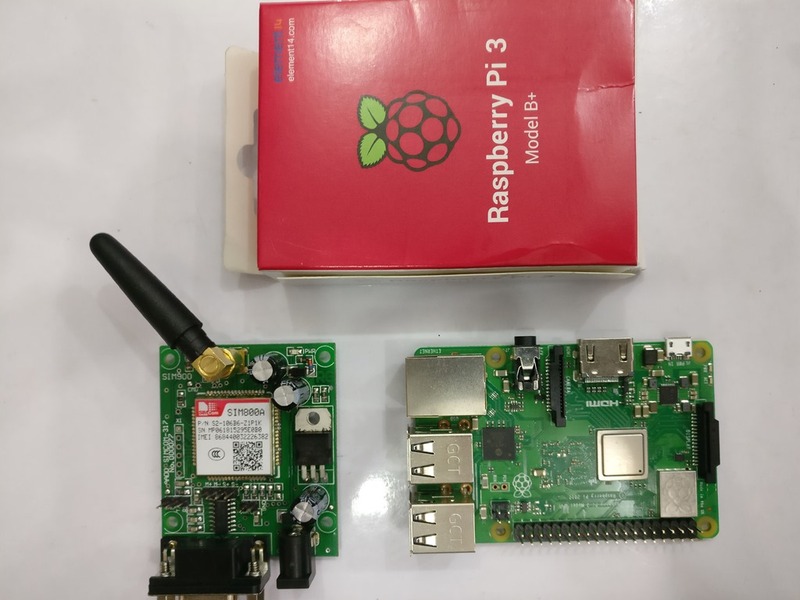 The Raspberry Pi has a Broadcom BCM2835 SoC (System On Chip), which includes an ARM11 700 MHz processor (ARM1176JZF-S) & and a Videocore 4 GPU. The GPU is capable of BluRay quality playback, using H.264 at 40MBits/s. It has a fast 3D core accessed using the supplied OpenGL ES2.0 and OpenVG libraries. The RAM is a POP package on top of the SoC, so it’s not removable or swappable.You cannot add extra RAM. It does not include a built-in hard drive. 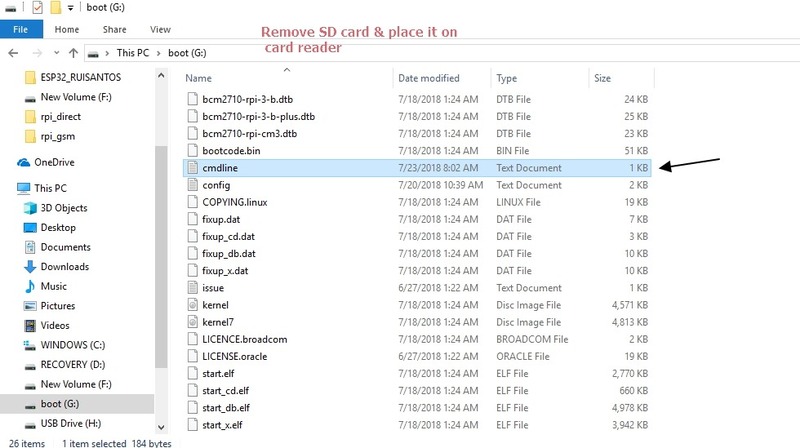 An SD card is used for booting and storage. When you order for a Raspberry PI you will get only the Board.. The power supply & SD card are not included & to be purchased separately. 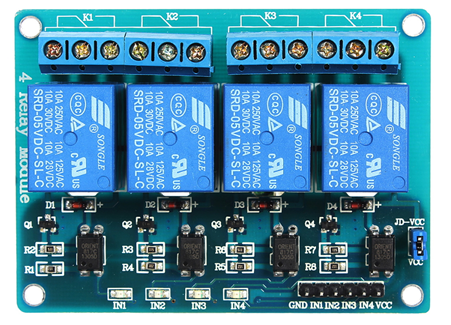 There is composite as well as HDMI out on the board, so you can hook it up to an old analog TV, to a digital TV . There is no VGA support, but adaptors are available, although these are relatively expensive.There’s a standard 3.5mm jack for audio out. You can add any supported USB microphone for audio in. By default, Python is supported as the educational language. Java is also supported. At present Ubuntu can’t commit to support Raspberry Pi .Also Android is not stable enough with PI. However development work is continuing on these platforms. Now let us see how to install the OS on to the SD card. SD cards up to 32GB can be used. 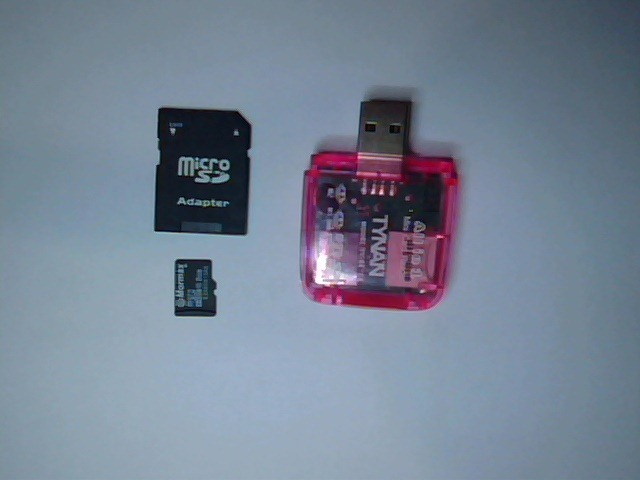 We shall make use of 8GB micro SD card.You need an adapter to hold this micro sd card , so that it can match the slide slot of Raspberry PI. 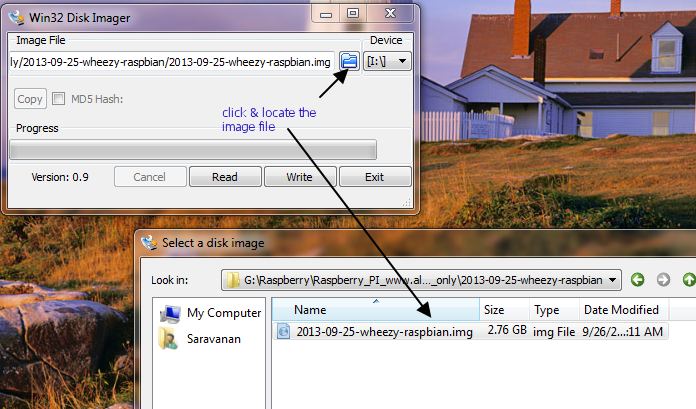 The wheezy-Raspian is a stable OS for Raspberry PI. 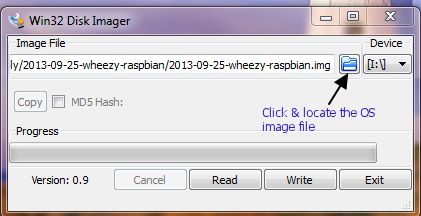 Recently NOOBS is available ,which is a collection of 5 operating systems.You can download NOOBS & select any one OS to install.As it is a huge download of over 1GB we shall stick on to raw image of wheezy-raspbian. These two are to be kept ready before starting fusing of OS. Place the micro SD card in to the SD adapter .Plug this on to a Card Reader & then plug it on to your PC. 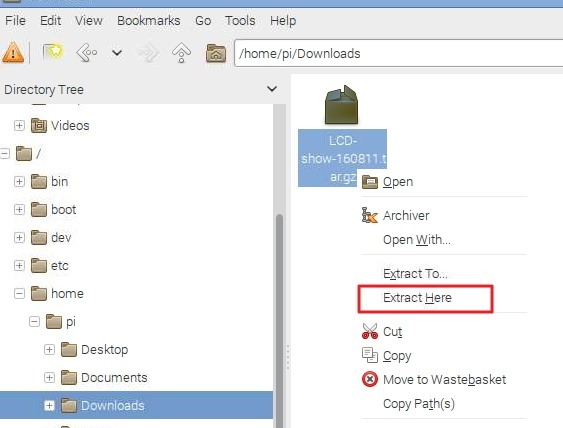 Click the browse button ( a file icon) & browse to the location where you’ve stored the image file.Select the image file & click Open. Now click on Write to start loading the OS on to the SD card. You can see the Progress window in action. Once Write is completed , click on OK. 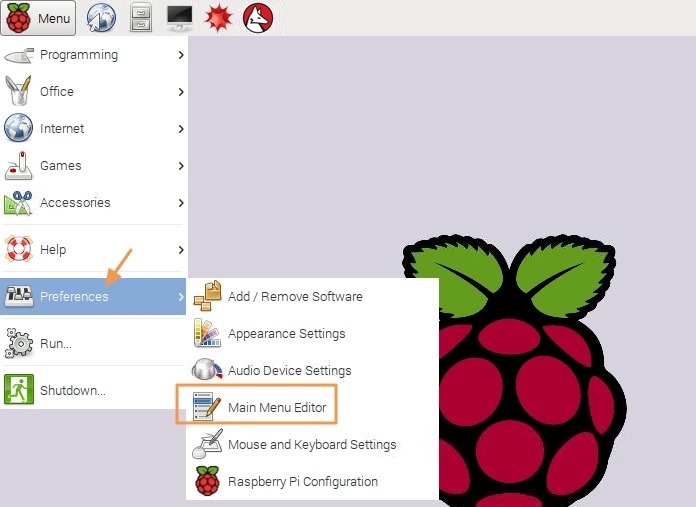 Remove the SD card from the card reader.Slide it on to the slot at the back of Raspberry PI.Connect an USB Keyboard & mouse to the USB ports at PI. 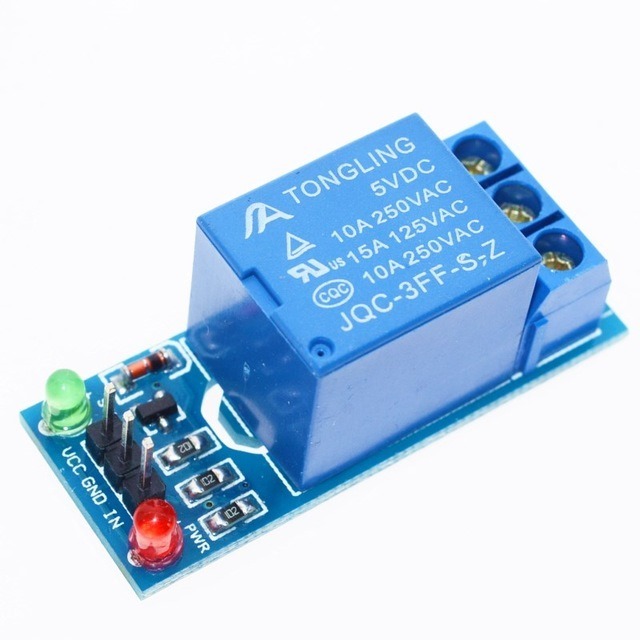 We can connect the PI to an old TV through the yellow RCA connector of PI. 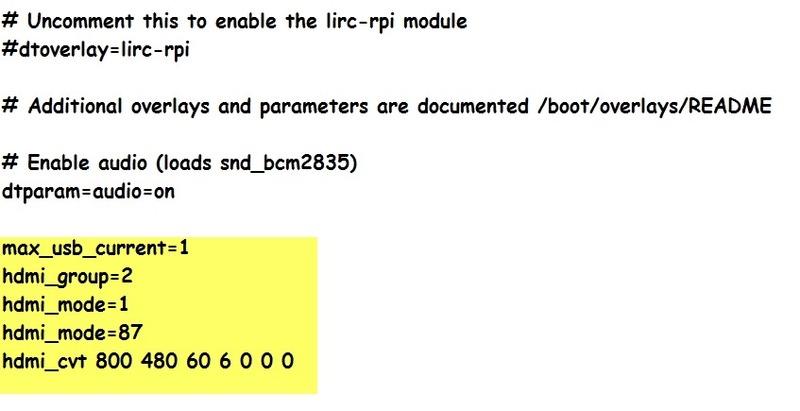 This is the composite video output from Raspberry PI .A RCA cable can be used to connect this pin to the Video IN of your TV.This connector is also yellow in color on your TV (AV IN). For demo purpose we’re making use of a small 7 inch LCD monitor with AV IN capability. 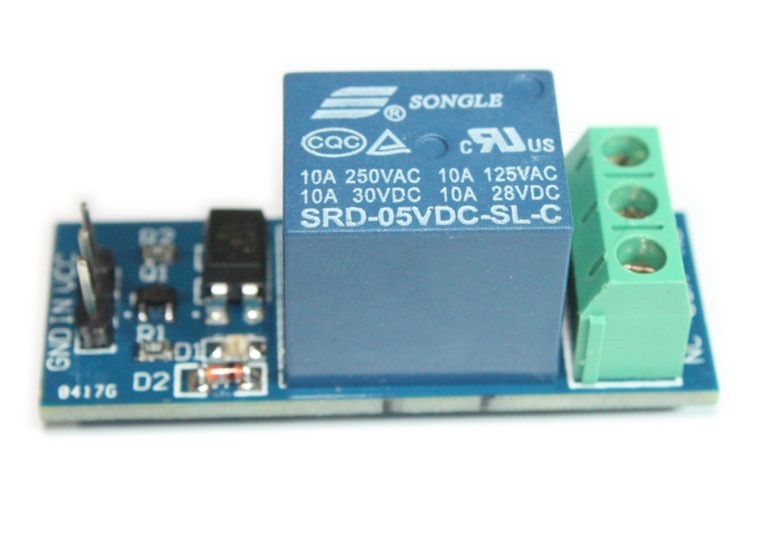 Now power up the Raspberry PI with 5V /2Amp adapter (micro usb type ). You can see on the screen , Raspbian booting up. 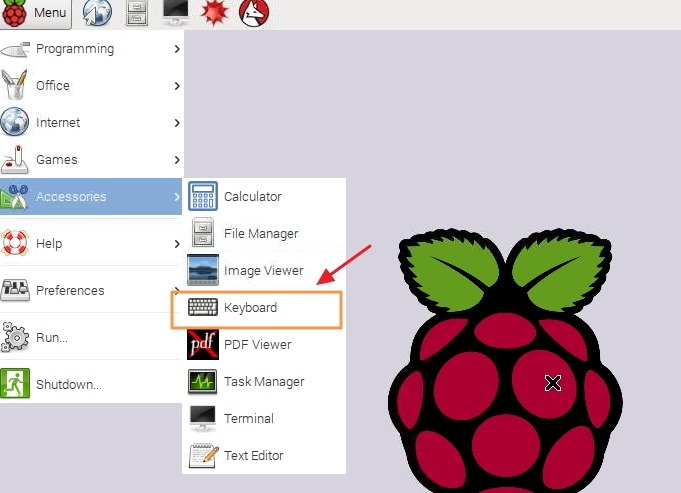 Following are the one time initial settings to be made.Settings are made through the Keyboard connected to the PI. First option is “Expand File system “. Select this to use the full storage area of the SD card.On next reboot this allocation will be done. 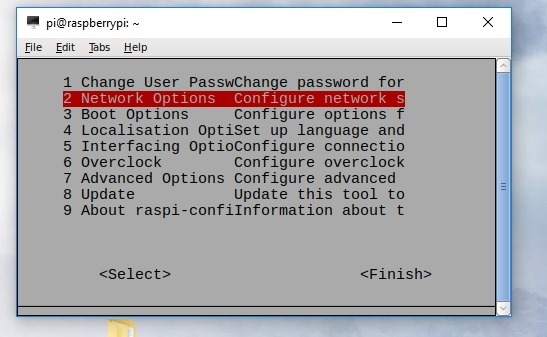 Next is the “Change User Password “.If you need to change the user password , select this & proceed as directed. The third one is the most required one “ Enable Boot to Desktop”. Select that & press Enter. 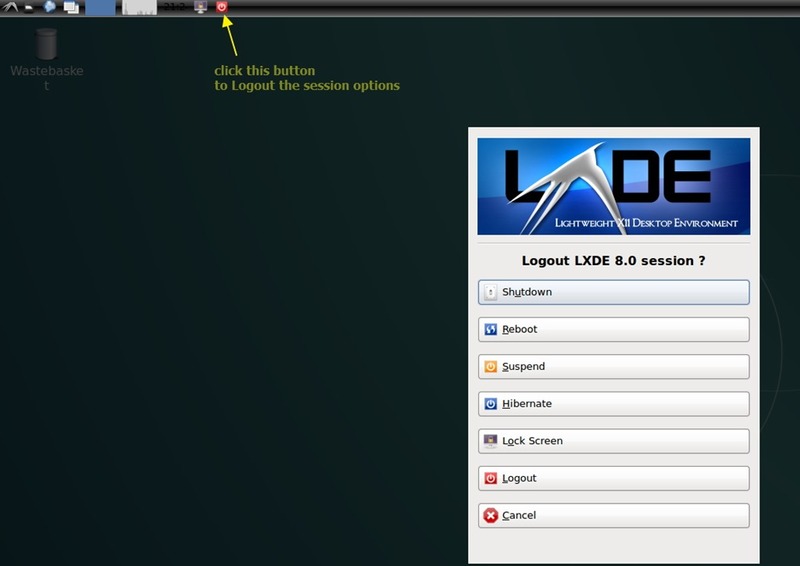 On the next screen Select “Desktop log in as user pi at the graphical desktop”. 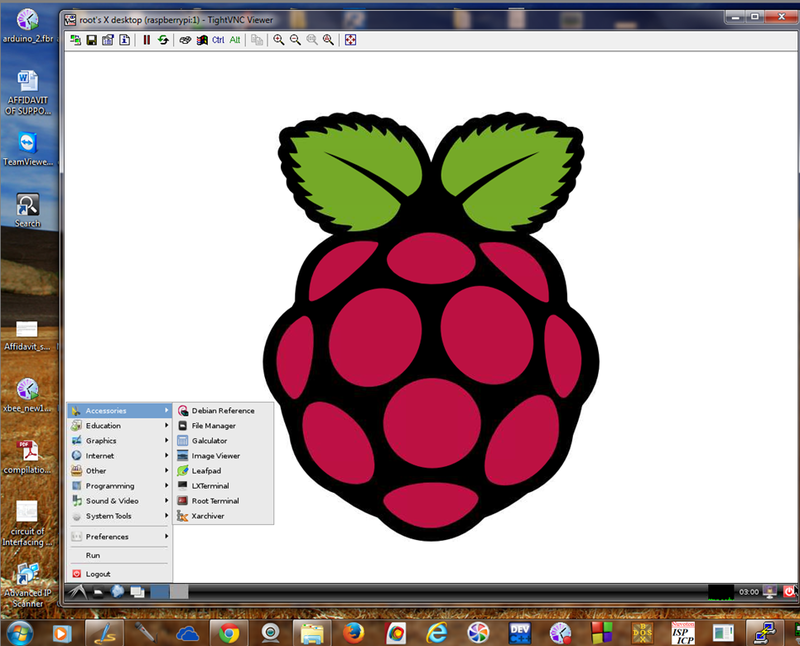 Click on Finish to boot Raspberry PI on to Graphical Desktop. 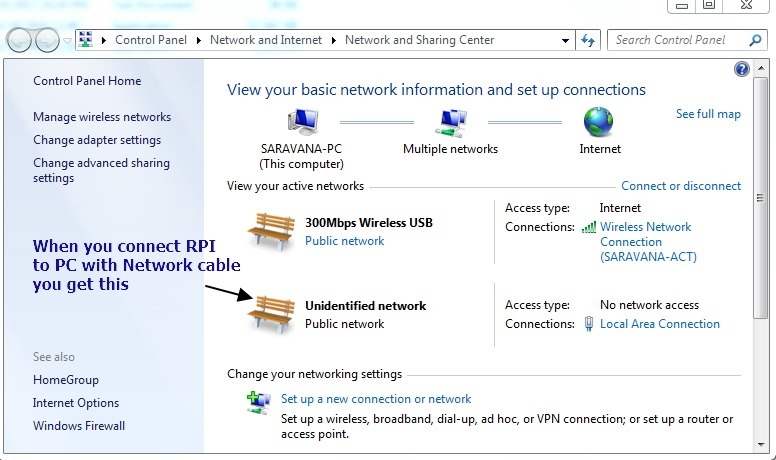 To connect with Internet use a RJ45 cable to connect to Ethernet port of Raspberry PI to the Router/Modem which is providing Network connection. 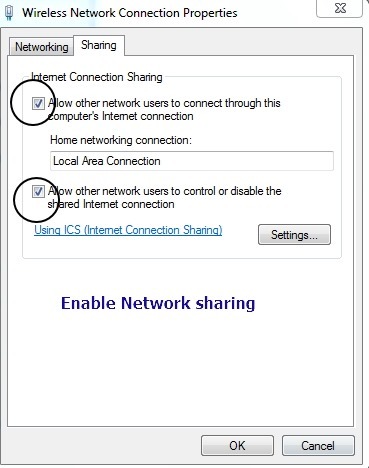 Under Start –> Internet – > NetSurf Webbrowser is provided which is the default browser for PI. Under Programming –> you see IDLE which is the IDE to develop Python scripts.